What are you eating this weekend for Independence Day? For some reason, even though I don’t really like to bake in the summer, I always want brownies for a 4th of July picnic. I found this great sugar-free, grain-free brownie recipe. I’m sad I don’t get to eat them right now because I am on a very restricted diet, but if you aren’t, I hope you enjoy this recipe! My favorite picnic main dish is this southwest chicken black bean salad, served with corn chips. You can find it here. It’s a flavorful burst of cilantro, lime, jalapeno pepper, and garlic. So yummy! This recipe looks intriguing if you want a veggie burger: southwest black bean burgers from the foodrenegade.com. If you must have a veggie burger, please hold the soy! 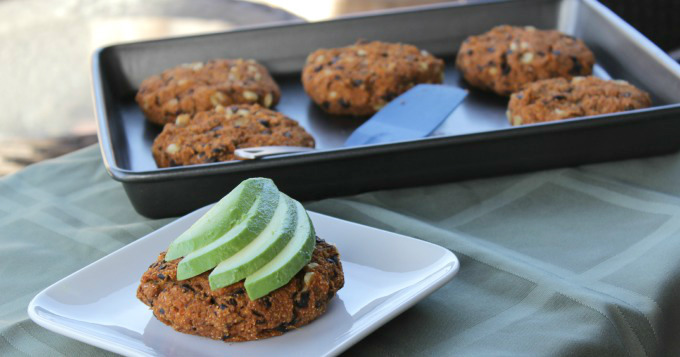 It’s hard to find commercial veggie burgers without soy, so here’s how to make your own. How about some sugar-free lemonade? Just fill a pitcher of water, juice a bunch of lemons, add the lemon juice, maybe some lemon essential oil, and then add some liquid stevia to taste. 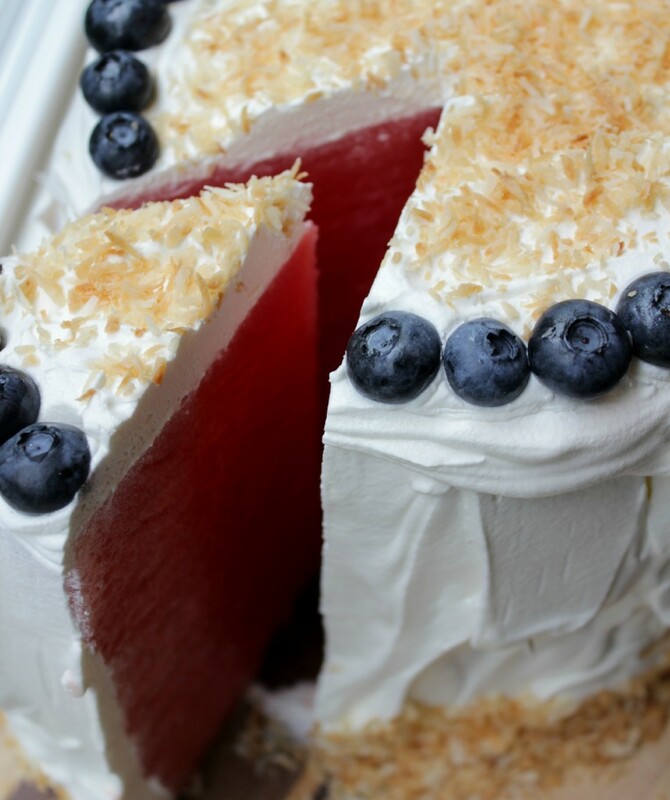 If you want to cool off even more and be super festive, make a watermelon cake! It’s sugar-free and gluten-free! I stumbled upon the great idea which is so simple I feel dumb for not thinking of it on my own. I heard about it from Kristen Michaelis, thefoodrenegade.com. Take a watermelon and cut off the ends and sides to make a cylindrical shape of watermelon flesh. Then frost with stiff, whipped cream. I used this idea as a birthday cake for my two summer birthday boys last year. To make it a true birthday cake for America, make it decoratively patriotic with red, white, and blue using sliced strawberries and blueberries. Here’s the exact recipe.